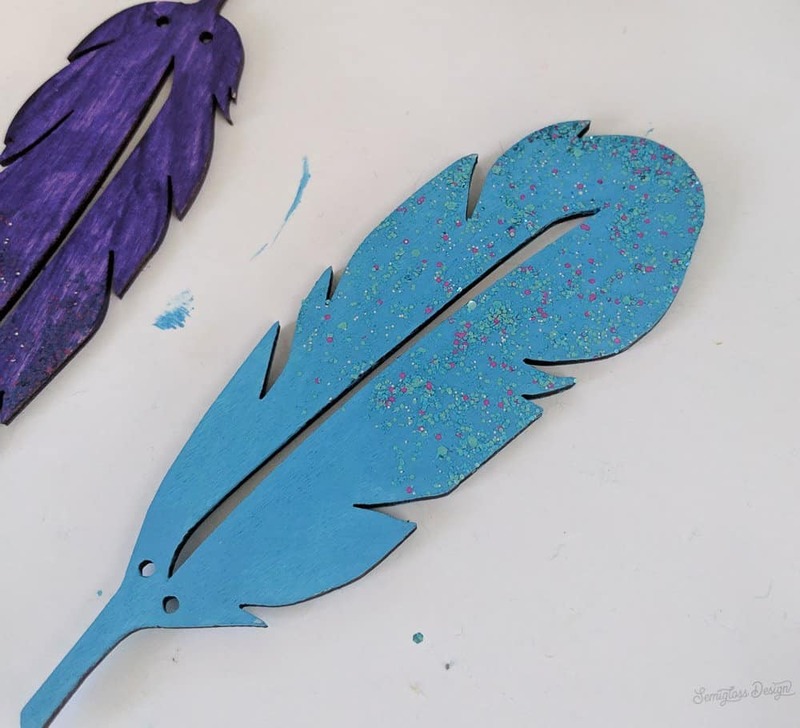 Learn how to make an easy DIY garland with glitter dipped feathers. 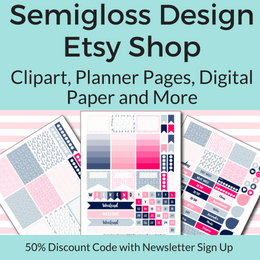 This is the first project for my daughter’s room makeover that she earned after bravely going through the KonMari process in her room. In the next few weeks, my daughter will be getting a room makeover. She probably loves color more than I do and has requested a colorful, boho bedroom with some cosmic elements, and plenty of DIY projects. Sounds like fun, right? 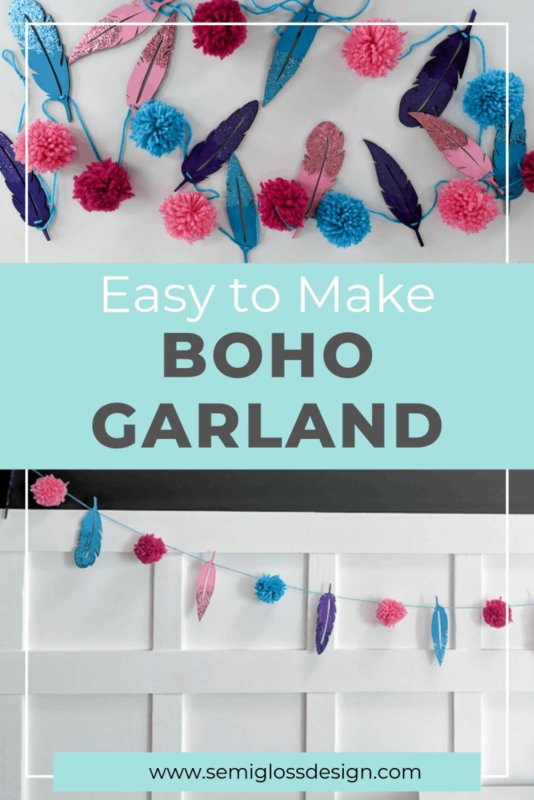 We started the boho garland on a Facebook Live video, which was lots of fun. I’ve been trying to do at least one Facebook Live a week, so if you’re not following me on Facebook, check those out! I think they’re getting less awkward! My daughter loves color, so I let her pick her favorite colors for this project. 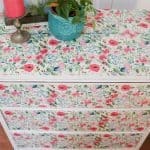 However, I think that it would also look amazing with whites and golds. 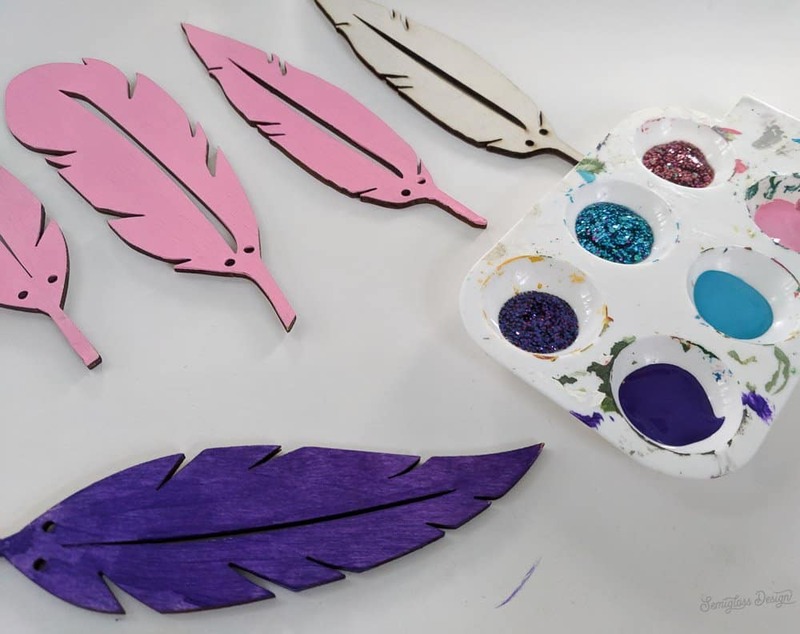 Start by painting your feathers with the acrylic paints in corresponding color to the glitter. This will make the glitter more vibrant. Both sides need to be painted, so once the first side is dry, flip it over and paint the back. 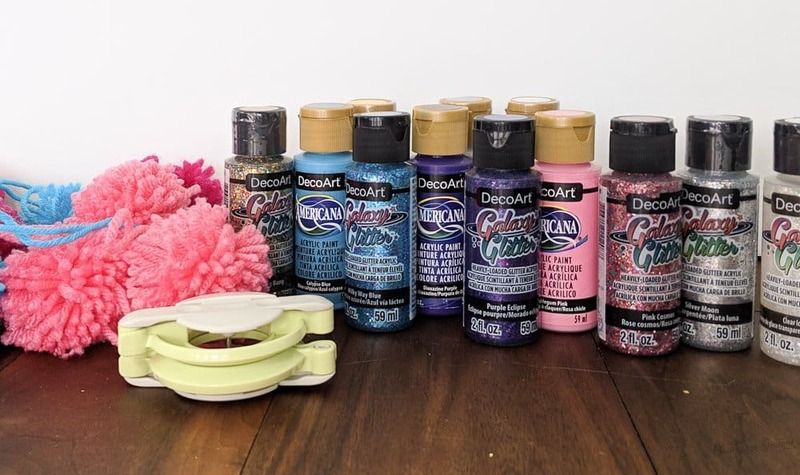 When the paint is dry, paint the DecoArt Galaxy Glitter onto the ends of the feathers. 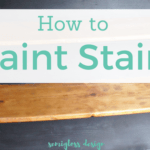 You can either do many thin coats, or clump it on for 1 thick coat. I liked the thick coat method. 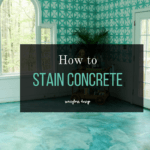 Be sure to let it dry for about 24 hours if you use this method. 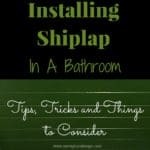 Flip them over and repeat the process for the other side. We chose 3 different colors of yarn for pom poms. Thicker yarn makes fluffier pom poms. 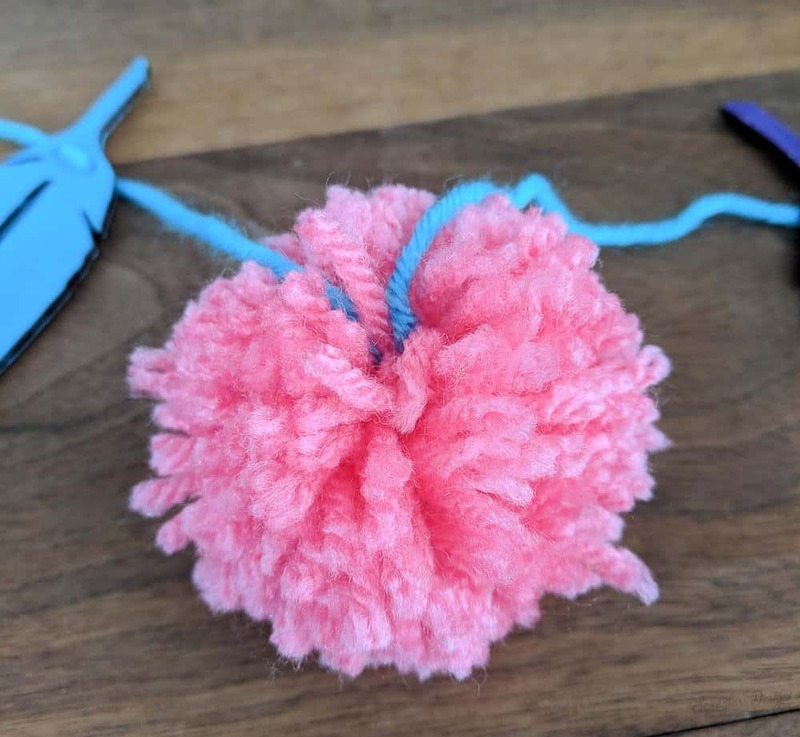 Click here for full instructions on how to make a pom pom. 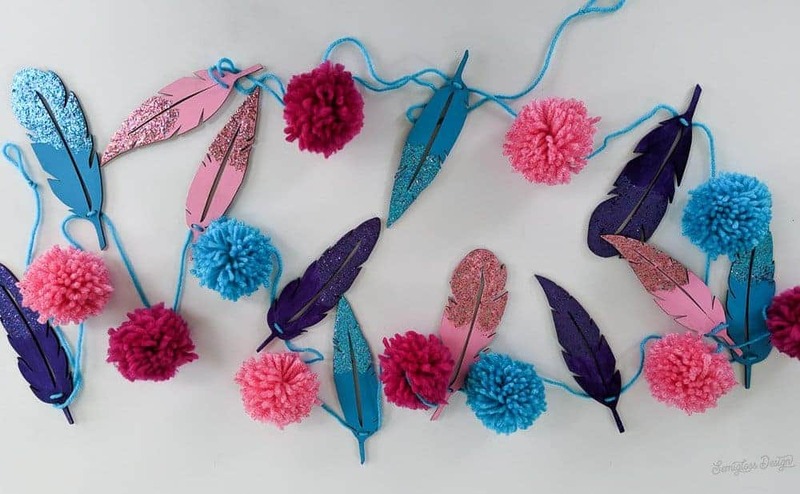 Be sure to leave long strings for tying the pom poms onto the garland. 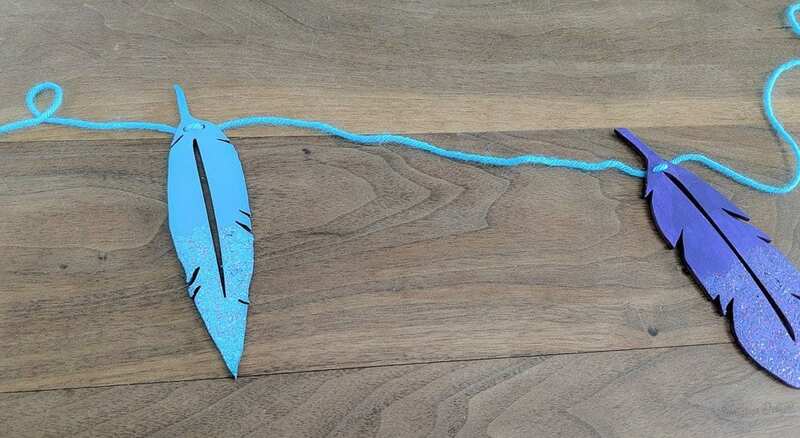 Cut a length of yarn for your garland. Mine is about 10′ long. 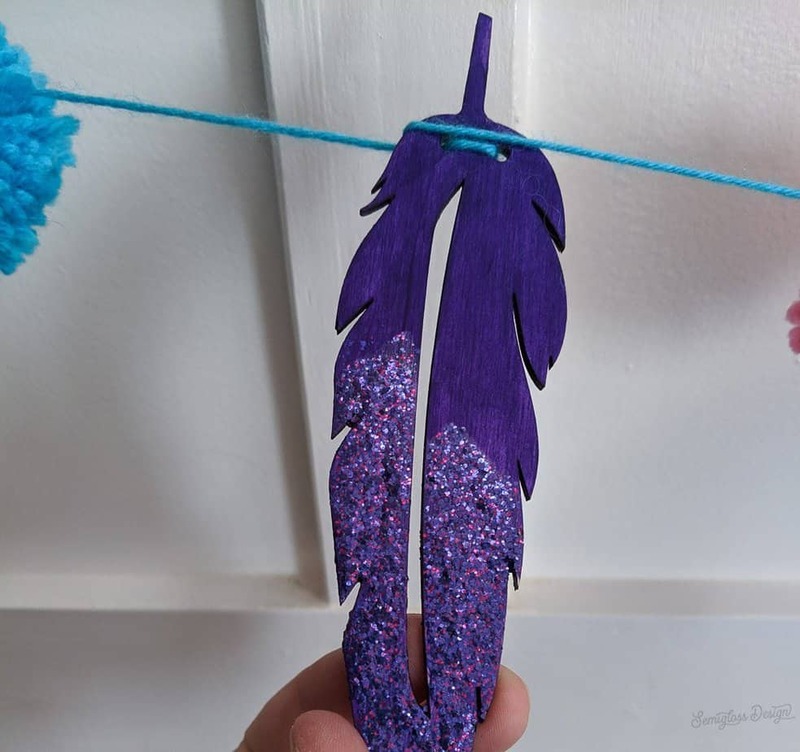 Thread the feathers onto your yarn. It’s difficult to get the yarn through the tiny hole, so I made a knot and then used a thick needle to poke it through each hole. Alternate the colors of the feathers. 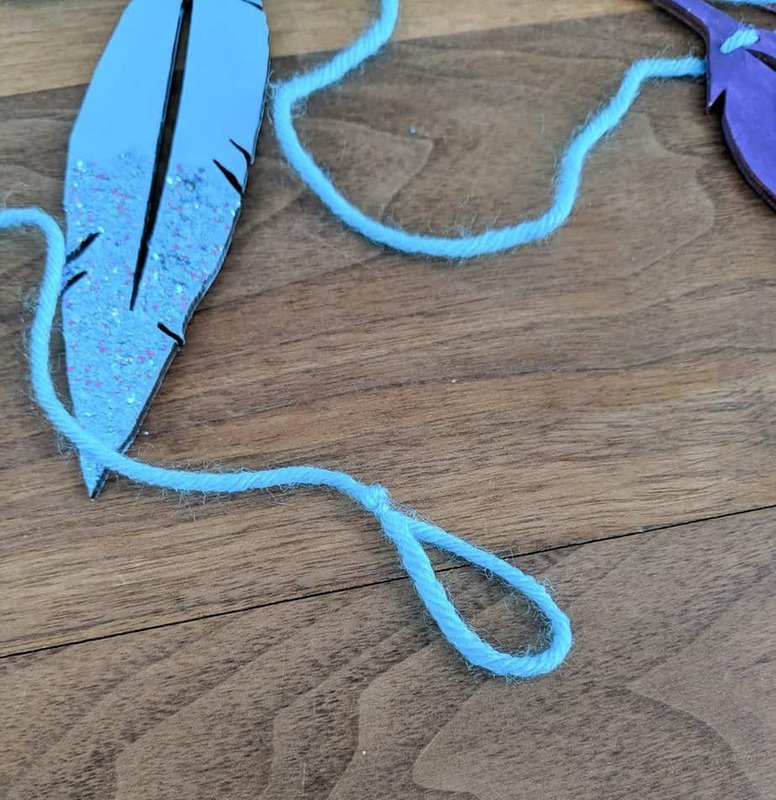 Once all the feathers are on the yarn, space them out evenly. I placed my feathers about 8″ apart. Add the pom poms. I used the long strings to tie on each pom pom, alternating the colors. Be sure to trim the extra strings after you tie the knot. Tie loops at each yarn end to make hanging easier.